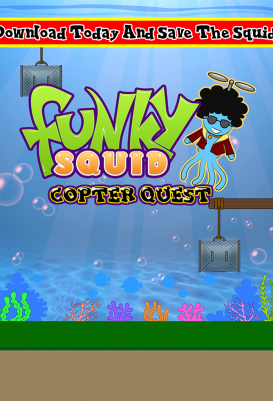 Funky Squid is back, and not content to be swimming, racing, and smashing his way around the place as he does in other games, now he is taking to the air! 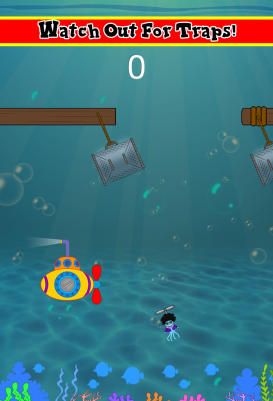 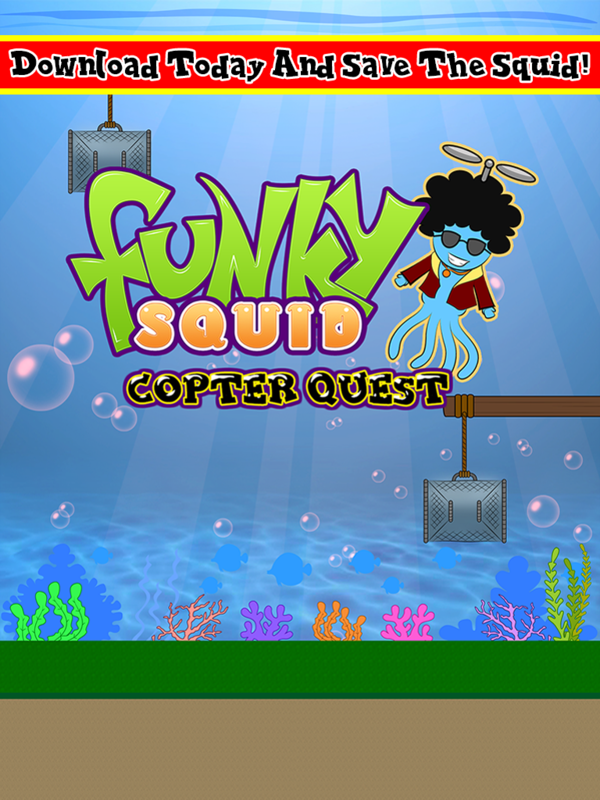 Yes, in Funky Squid Copter Quest, you get to fly around and make a nuisance of yourself! 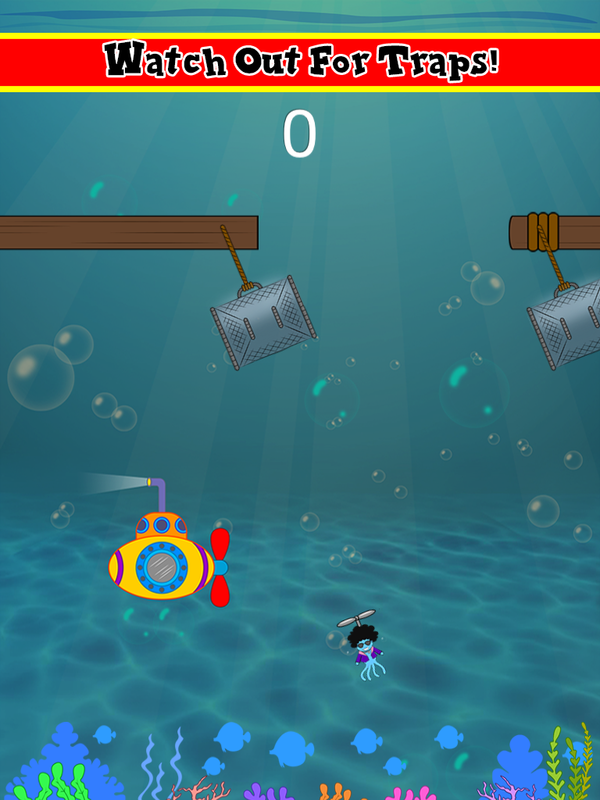 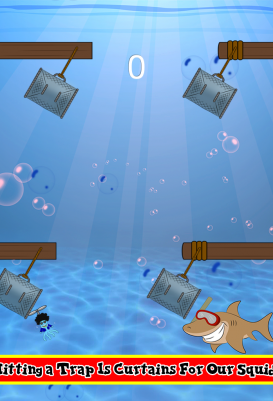 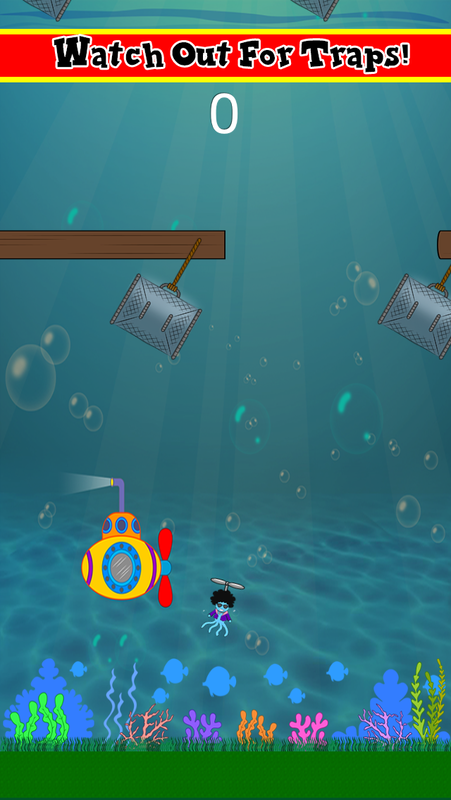 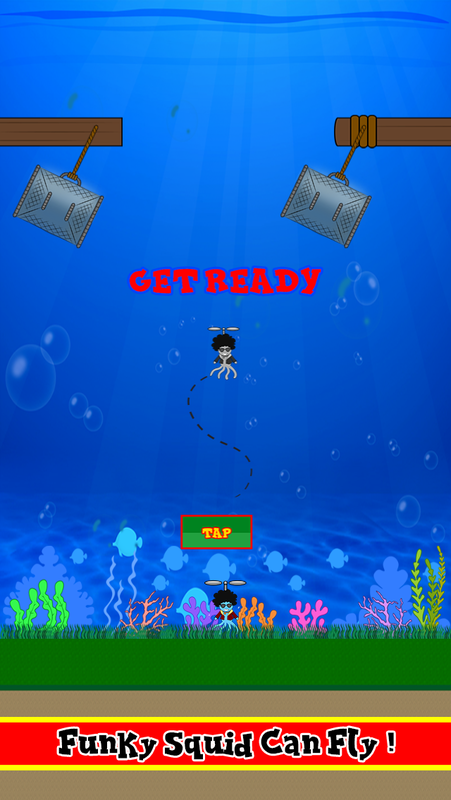 Our hero has a propellor on his head and the idea is to navigate between the two squid traps as you slowly move up the screen. 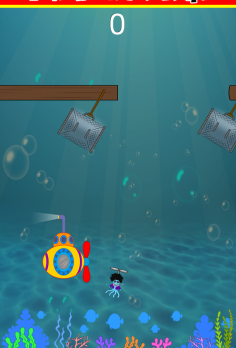 Now you might think that sounds simple, but unfortunately its not. 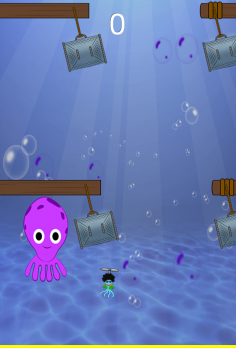 Because the evil fisherman have also installed powerful magnets to the left and right of Funky Squid. 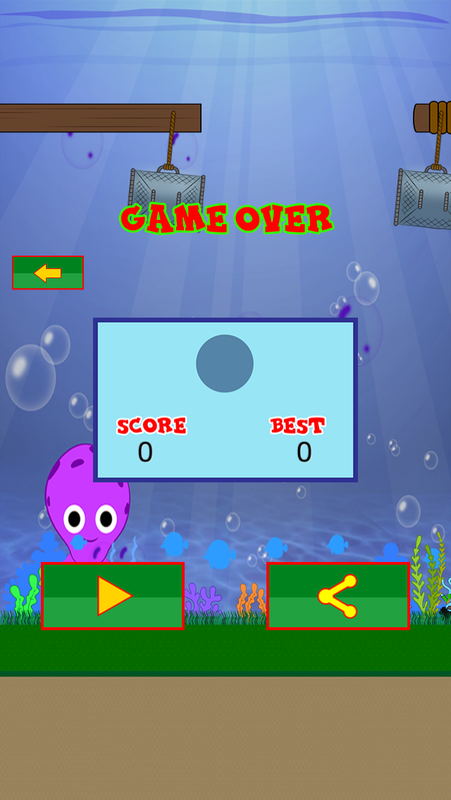 If you are not tapping left and right to balance Funky Squid, you will fly off the side of the screen and get smashed! 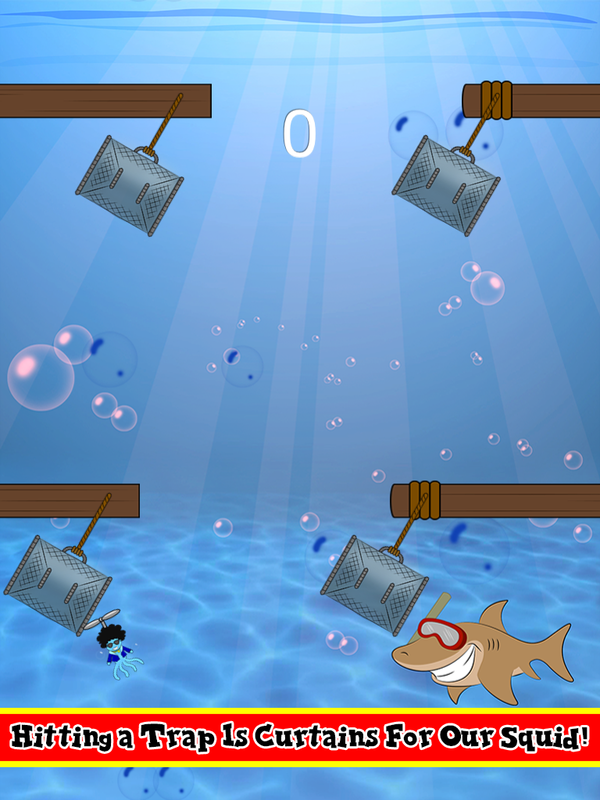 Time your taps to ensure this does not happen and to ensure you don’t touch the traps. 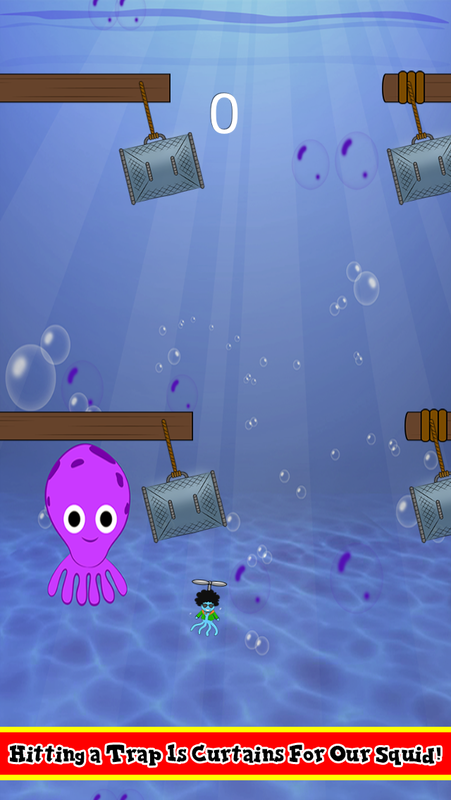 Let me tell you Funky Squid has no plans to ever go near a Squid trap so please make sure you do your best to avoid them! 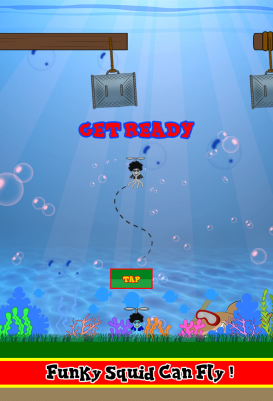 Touch a trap or the side of the screen and its game over, lights out, and the evil fishermen get to eat well (hint: We don’t want that to happen). 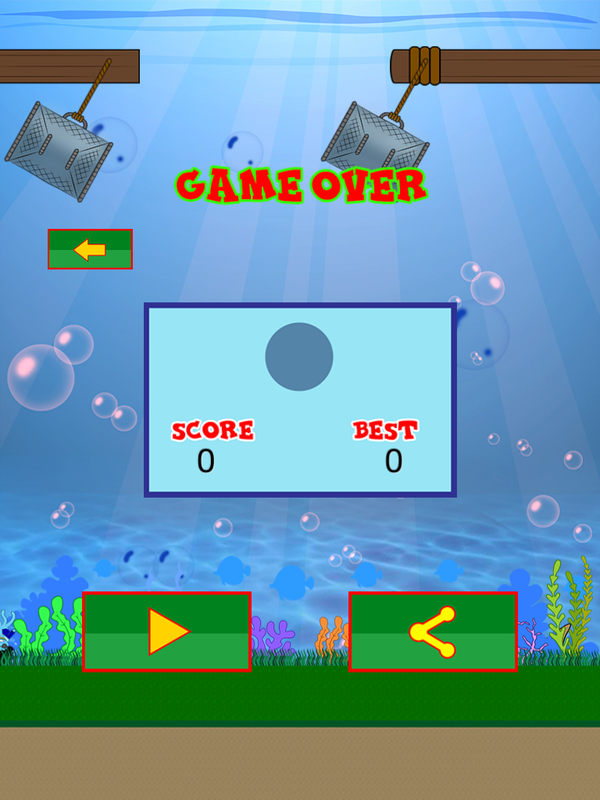 This is a difficult game, lets see what score you can end up with! 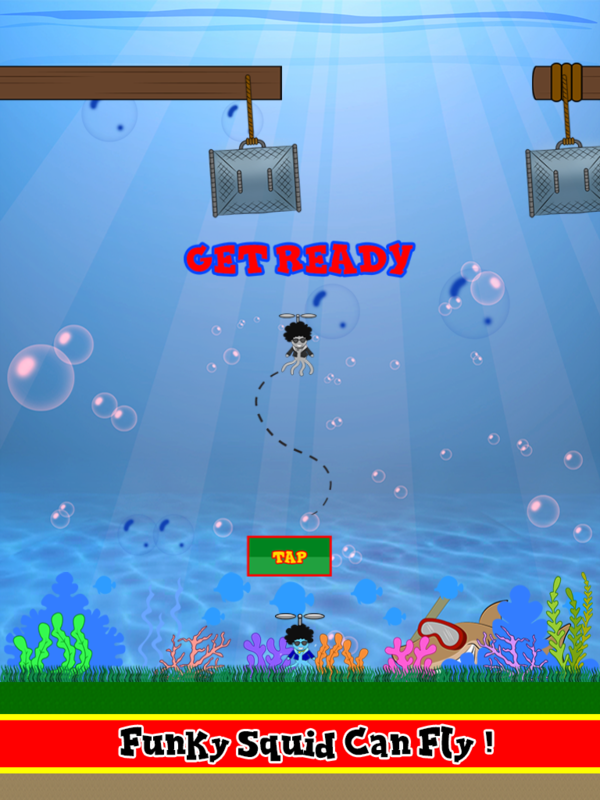 Works on iPods, iPhones, and iPads! 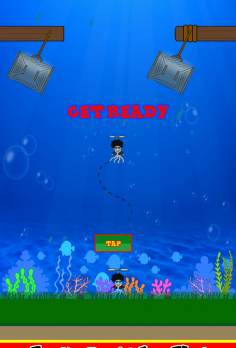 Complete with retina graphics and a beautiful theme. 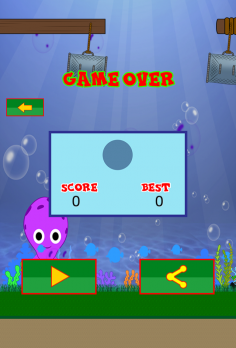 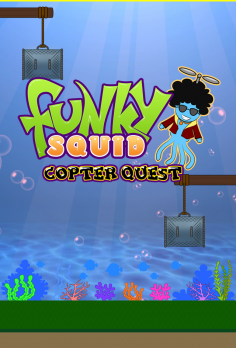 Download Funky Squid Copter Quest today! 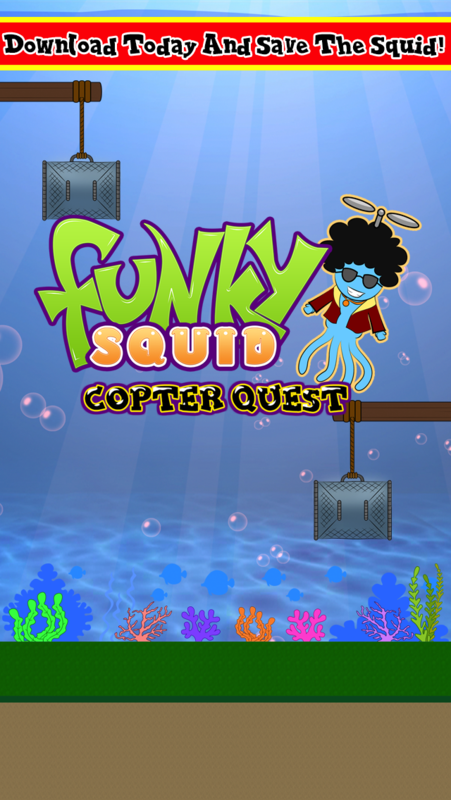 How to Get Funky Squid Copter Quest FREE?